Former Liverpool under-23s boss Michael Beale is to return to the club in a new role at the Reds’ academy. Beale left the club at the end of last year, taking up a new role as assistant manager at Brazilian club Sao Paulo. But after parting ways there in July, he’s returned to Merseyside. The foundation phase covers the age groups from Under 6 to Under 9, a vital time for young players learning their technique before progressing to the older age groups. Announcing the news, the former Chelsea coach said: “Skill development is an area that I am hugely passionate about and working with the youngest players gives you so much joy on a daily basis. 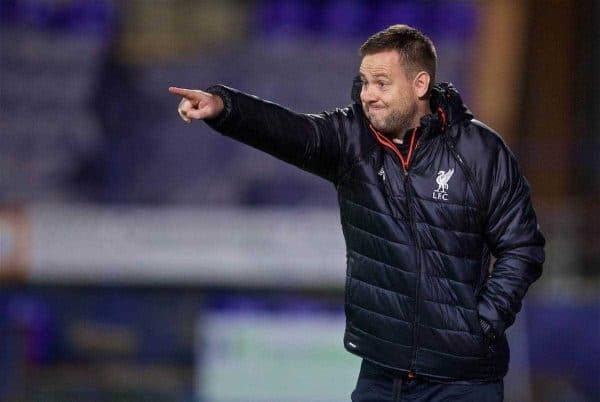 Beale’s return further strengthens Liverpool’s impressive academy coaching ranks, with Steven Gerrard having taken over at the Under-18s in the summer and former Crewe academy head Neil Critchley stepping up to the Under-23s. With the expansion of the Kirkby site to include the first-team training base, it’s an exciting time for the Reds’ academy.